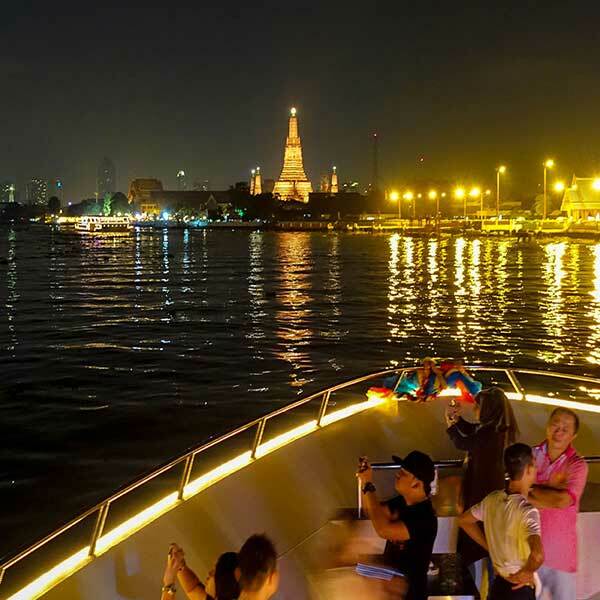 This Dinner Cruise with Chao Phraya Princess in Bangkok is an amazing and comfortable way to see the landmarks along the river bank in Bangkok. Cruise down the river on a beautiful & comfortable boat having a candle lit romantic dinner with Live Music. Serving a modern style delicious Thai & International cuisine. 19.00 Check-in at the Chao Phraya Princess Cruise counter at River City Pier. Welcome by the crew in typical Thai culture with warmly smile, serving you with special Punch Cocktail. Enjoy the beautiful night scenery on both side of Chaophraya River. Absorbed and get fascinated with magnificent architectures standing elegant just before the river in the night time with decoration of lights beside of thr charming of the riverside. For instance, the Temple Of Dawn, The Grand Palace & Wat Phra Kaew, Bang Khunprom Palace, Kanlayanamitr Temple and a string of the World Class Water Front Hotels. Arrive back at River City safely. Thai and International Dinner buffet on board. Entertained by Live Music Band and Thai Classical Dance. Pick up transfer from hotel to the pier. Fantasea Phuket How to book. This is the original Show & Dinner production in Phuket. Brand new shows and theme park coming soon, currently under construction, but the existing show is on daily. Bangkok White Orchid Dinner River Cruise. A wonderful cruise that takes you along the Chaopraya River in Bangkok, showing you some amazing sites & treating you to a beautiful dinner & a Thai Classical Dance Show. Sunset cruise June Bahtra. This is the second Tour option for June Bahtra in Phang Nga Bay, the other is a day time cruise. 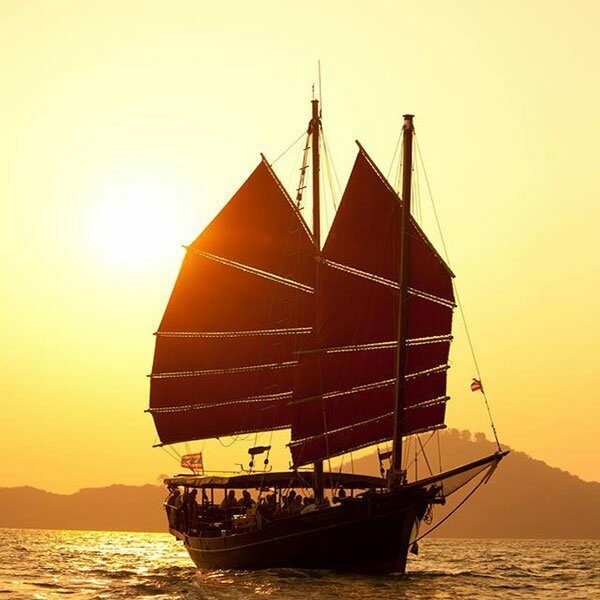 This is an evening to remember, a sunset dinner cruise around Phang Nga Bay.